The kids will go wild for these mini pizzas. Pizza doesn't have to be all about dough to make it tasty for your children. Pizza can be so much more. You can make vegetables into a base; vegetables that you hide under cheese and a tomato topping. We all love hiding vegetables from our children by making dishes that satisfy and entertain them by making them look like party food served at home. 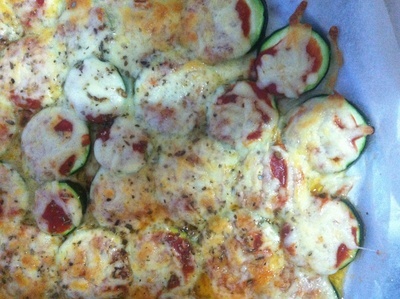 I made these lovely mini zucchini pizzas tonight and the children were very excited. At first they could see that I was slicing zucchini and I think they got a little scared because I mentioned that we were having pizza which made them confused. But when I made the mini pizzas and got them out of the oven, the kids loved the idea, and more importantly they loved the taste! 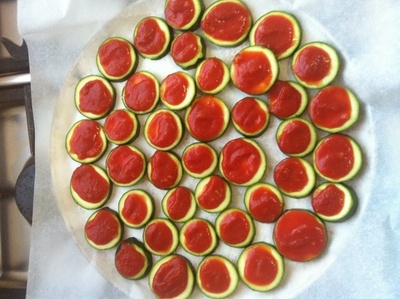 When you make these mini pizzas, the cheese and home made tomato sauce overpower the zucchini flavour which make these little finger foods delicious and hearty to eat. One of our children commented that they liked them better than pizza, which was a lovely compliment. It makes me wonder, how easy is it to hide vegetables... especially when you mention that you are having 'pizza'. When these are ready, serve them as party finger food or kids pizza. They also keep well in the fridge for the next day. They make a great snack and lunch. 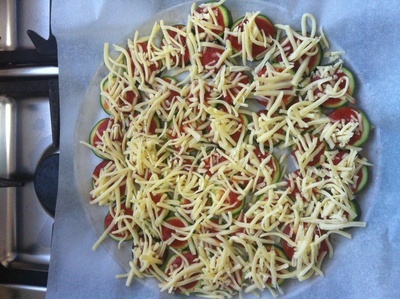 You can also do this with eggplant sliced finely to make larger pizzas. No matter which vegetable you use, as long as you have a vegetable base and nice toppings with yummy cheese, the kids will love it! In a saucepan, heat up tomato puree with some sliced garlic, bring to the boil and leave to cool. 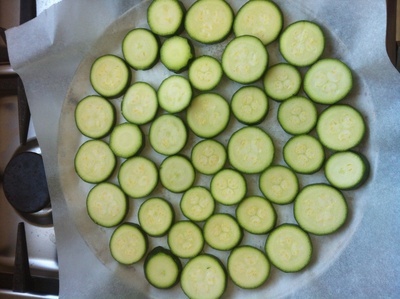 Slice the zucchini into thin slices and lay on a baking tray. Place a dollop of tomato puree on each slice. 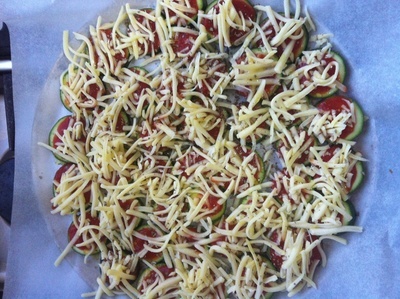 Place a dollop of cheese over the zucchini slices. Place some oregano over the top and drizzle with extra virgin olive oil. Bake in the oven on 190 degrees celsius for 15 minutes. Have you ever tried Greek mountain tea?